CrossHaven Farm is one of the Mad River Valley's most scenic properties. The farm runs for 1-1/2 miles along the Mad River and has been pictured in calendars, newspapers and magazine articles. Travel up Rt 100b the Vermont scenic highway in the heart of the Green Mountains, turn onto the old bridge that crosses the river, and enter the solitude and beauty of CrossHaven Farm. Crosshaven Cottage is nestled between the home and barns, with lawns, riding arena and the river in front, and hillside pastures and forests with trails, behind. The trails, river access, wildlife, excellent birding, and scenery all offer opportunities explore while here. The cottage is fully updated with an open kitchen / living / dining area, one bedroom and the bath on the first floor. The second floor is a loft bedroom. About 700 sq. ft. in total. Sleeps 4. There is a double bed and queen size bed.. Fully equipped with a stove, microwave, full refrigerator, coffee maker and cabinets. Great front porch for relaxing. CrossHaven has been breeding show-winning English-style Labrador Retrievers for over 20 years. So, when you come the CrossHaven, be prepared for a warm welcome -- and perhaps a morning bark or two -- from the labs. Absolutely stunning location. Accommodation was outstanding and beds very comfortable. The hosts Patricia and Scott could not have been more hospitable. Meeting the dogs and the rooster was a special treat. Would definitely go back. 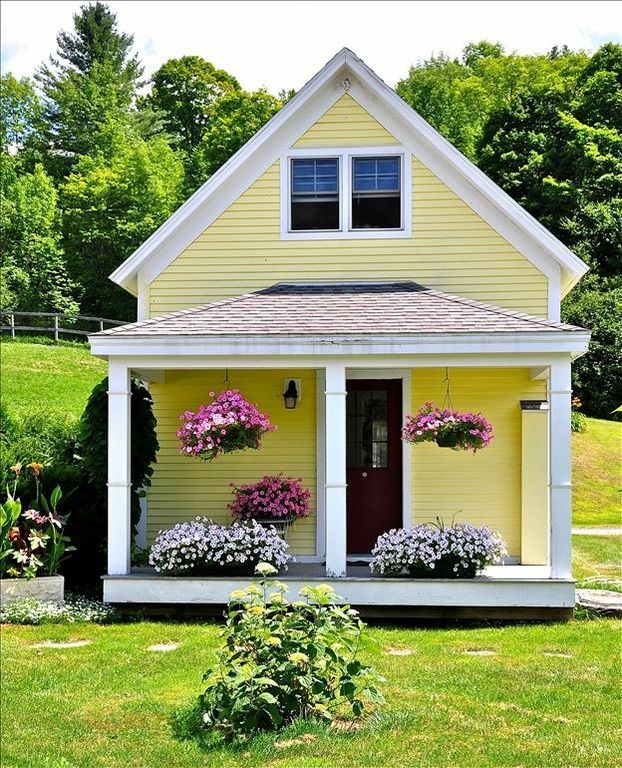 Beautiful property, charming and perfectly comfortable, real Vermont! This is a beautiful guest house as part of the property of Pat and Scott. The location is fantastic with Mad River running nearby. The owners raise Labrador Retrievers, wonderful dogs. The house is tastefully decorated and has all the amenities. Everything about our stay was perfect! The cottage is comfortable and clean with all the basics needed. Cozy Cottage on a beautiful farm. Quiet and cozy cottage with amazing starlite nights that make you feel like you are in a plantarium. We stayed for a ski weekend a t sugarbush, and it was perfect for our family of 4 for a weekend. The cottage was clean and the kitchen had everything we needed to prepare dinner. We will definitely look to book again if our ski adventures take us back to Sugarbush. Rates are subject to change until reservation is confirmed. Full refund if reservation is cancelled 30 days prior.